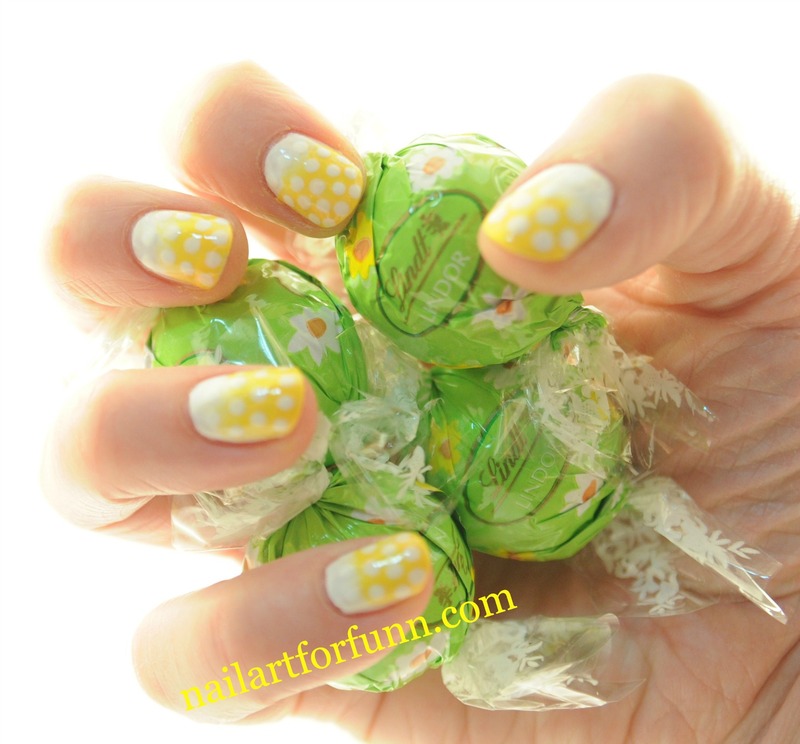 easter | Nailart for funn! These are my Easter nails. They go with my Easter chocolate! I like the cheerful yellow. I already blogged about this style of ombre nail art in light blue here, but I just love this design so much I wanted to do it again! 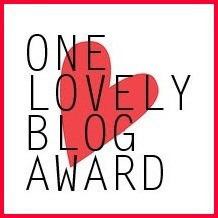 (that doesn’t happen me very often!) I used Sally Hansen, Lightening and Essie, Blanc and a dotting tool too. Tonight Greg and I and a few friends are having a going away party in our local. It’s happy/sad!! I’ll miss everyone I’ve gotten to know over the last four years but I’m really keen to get on with my life and get the wedding organised, go home to Ireland etc.! 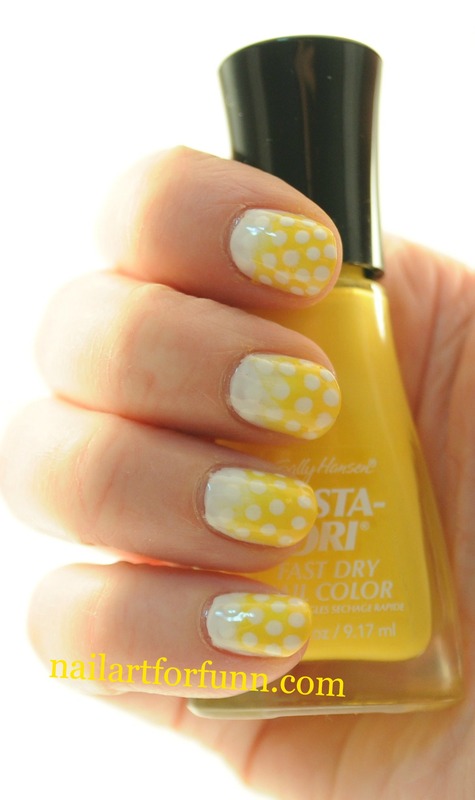 These are the perfect nails for my evening, cheerful and bright! 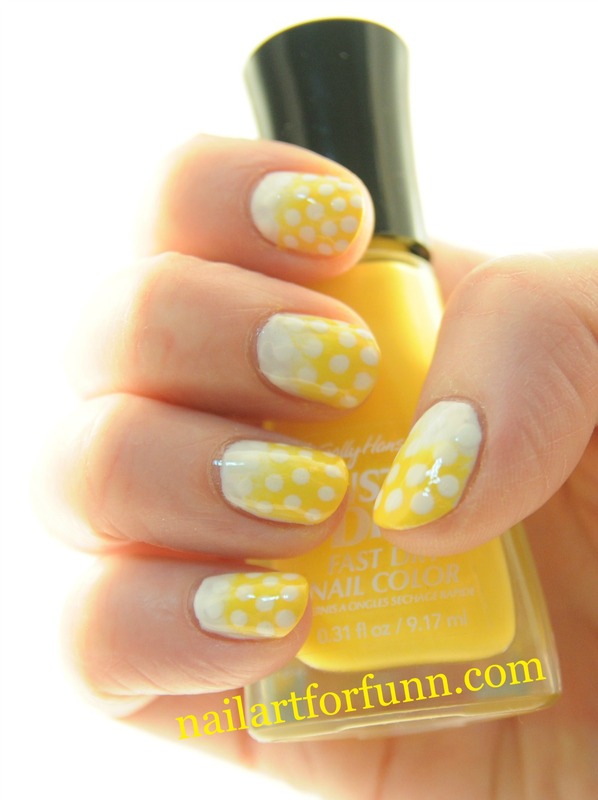 Categories: Dotting, Nail Art, Ombre | Tags: beauty, bright, Cheerful, Dotting tool, easter, Essie, manicure, nail art, Party, Sally Hansen, style | Permalink.